When you’re facing issues dealing with health and aging, or making a decision about a long-term care or rehabilitation facility, you’ll want to do your homework. This list of resources will help keep you informed. We’ve also designed our website specifically to answer your questions and put your mind at ease. Be sure to see the Frequently Asked Questions section, or Contact Us for more information. 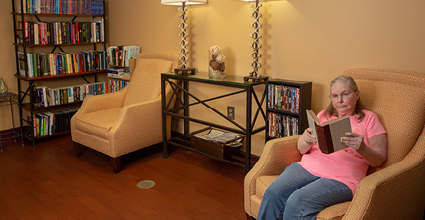 When choosing a nursing facility, you may not know where to start and, at times, you may feel overwhelmed with questions. We’ve compiled a list of frequently asked questions (and answers) to help make the decision easier. Learn about our admissions process at A.G. Rhodes. We collaborate with many partners that enable us to deliver high-quality care to seniors in our community.